Raspberry and Cherry Fruit Compote - Loose Fruit Tea Blend. Excellent Hot or Iced Tea. 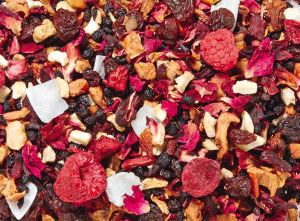 It is a strong, full-bodied fruit tea with delicious aromas of fresh raspberries and crisp ripe cherries. 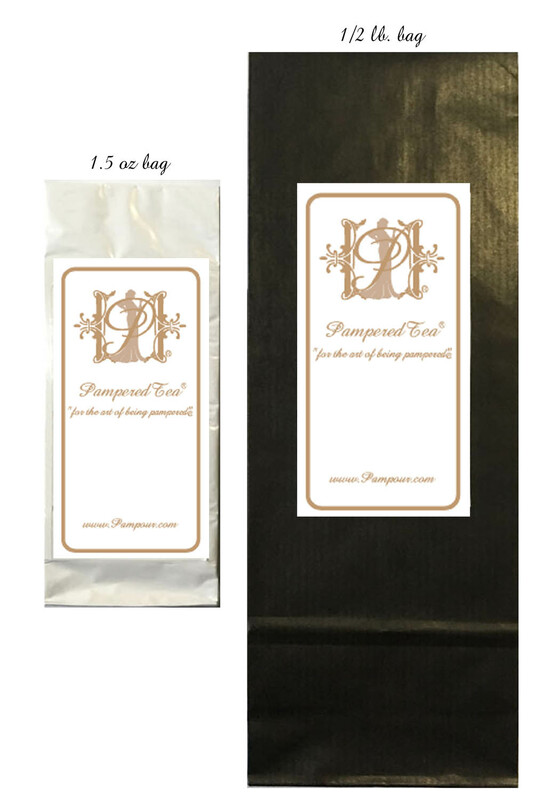 Creamy, nutty and fruity-sweet, this loose tea's exotic aromas round off the flavor harmoniously. It can be made strong or lighter in flavor. It is great either way. I personally have started drinking it quite a lot to get the benefits of cherries and raspberries in my diet to try to help with my arthritis pain. So I've been using the disposable tea bags we have and filling it up with this tea for a full sized tea pot full of tea. The tea is a little weaker than full strength but that is great for iced tea. I drink it all day! It's has a beautiful light flavor. I brew the pot and it will last for a couple days. Ingredients: apple pieces, sultanas, hibiscus blossoms, elderberries, coconut chips, freeze-dried banana pieces, flavoring, rose petals, freeze-dried cherry pieces and whole raspberries. If you have any questions or comments, please email us at CustomerService@Pampour.com. We look forward to hearing from you. If you would like to order more than one of an item, it's easy. After you have selected any options such as color or size, just click the "add to cart" button and you will be brought to the shopping cart. Just type in the quantity you would like to order in the shopping cart, then click update and your new total will appear. Like us? Let us know. Become a fan and check back often for new items.